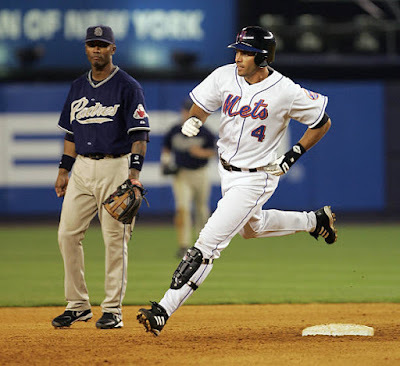 Tuesday July 19th 2005: Willie Randolph's Mets (47-46) were playing the best ball they had played in nearly six years. Tonight they hosted Bruce Bochy's first place San Diego Padres (50-44). The 2005 Padres would lose the NLDS in a sweep to the St. Louis Cardinals. Tonight's starters were Kris Benson & Brian Lawrence. The game was scoreless until the 5th inning, when Khalil Greene hit a solo HR. In the bottom of the inning, Cliff Floyd also led off with a solo HR tying the game. The 1-1 score remained until the 11th inning as both bullpens kept the other team down. Kris Benson took the Mets through seven innings, as Dae Sung Koo, Roberto Hernandez & Braden Looper got the Mets to the 11th. In the 11th Mike Piazza singled to left field with one out. Chris Woodward then hit a walk off HR off Chris Hammond, to win the game. It was his third HR of the year. 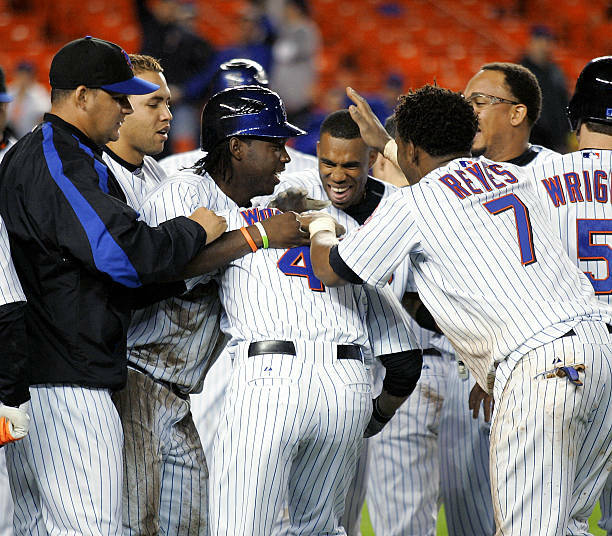 The Mets swept the Padres & won six of seven that week. Saturday August 20th 2005: The Mets were hanging at the bottom of the NL East, but they were four games over .500 (63-59) & just 5 1/2 games out of first place. 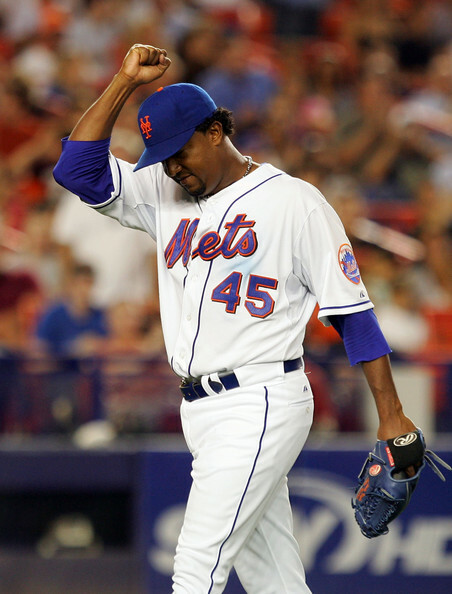 A large crowd of 51,785 filled up Shea Stadium to see Pedro Martinez & the Mets host the Washington Nationals (63-59). The Mets had a big 2nd inning, David Wright singled, Marlon Anderson walked & catcher Ramon Castro hit a three run HR. The inning continued as Victor Diaz singled & Jose Reyes a HR of his own, the two run shot made it 5-0 Mets. Livan Hernandez remained in the game until the 3rd inning. After singles by Carlos Beltran & Cliff Floyd, David Wright hit a three run HR making it 8-0. Pedro left with an 8-0 lead after six innings. He had struck out four & walked no one allowing six scattered hits. But in the 7th, the Mets bullpen was absolutely terrible. Danny Graves, Dae Sung Koo & Aaron Heilman combined to serve up six runs, four hits & three walks. In the 9th Braden Looper blew a save opportunity, giving up singles to Ryan Church & Preston Wilson both with two outs. Brian Schneider then tied it with a double 8-8. It was a horrible display of relief pitching as the bullpen blew an eight run lead. The game went to the bottom of the 10th, Nats reliever Gary Majewski helped the Mets by walking Gerald Williams & Jose Reyes. Willie Randolph brought in Chris Woodward to pinch hit. Woodard came through with a single to centerfield. The Mets won a crazy game 9-6 with Woodward once again the hero. 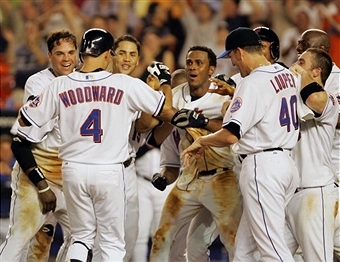 Woodward spent two seasons with the Mets as a reserve player getting lots of pinch hit opportunities & came through having three walk off hits.